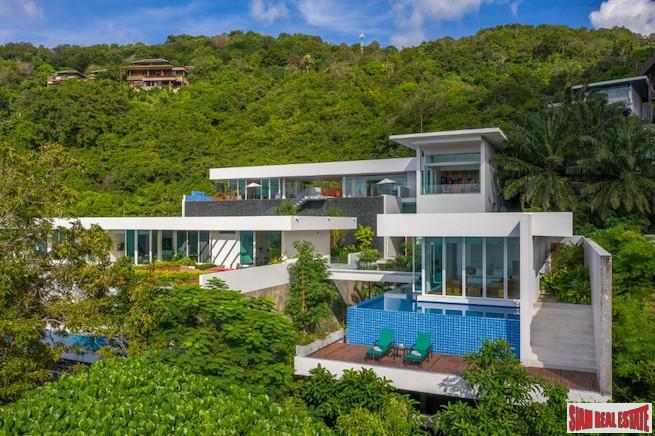 Phuket owns a wealth of shopping options that would make most tourist destinations blush with embarrassment. From market stalls and souvenir shops, to big franchise shopping centres, there is more than enough to keep the most hardened shopper in the realms of ecstasy. Some of these options are spread out, while others are positioned directly next to each other. Let us help you decide which shopping options fit your taste. 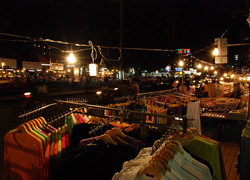 Phuket night markets are the home of the haggle, counterfeit goods and a colourful yet hectic atmosphere. The night market at Patong runs directly along the beach road. Here you will find some great bargains from copy brand name T-shirts, watches, Thai silks, hammocks, counterfeit sneakers and a host of copied CDs and DVDs. This line of products pretty much covers the entire stock for all night markets across Phuket. We don’t suggest for one second that you purchase copied goods because it’s against the law, which is very rarely practised by the Phuket Police. 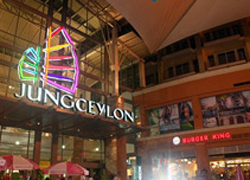 Kata, Karon and Patong are the main locations of the night markets. Another market of considerable size is the one on Rat-U-Thit Road in Patong, opposite the entrance of Soi Kepsab. If you visit the main stretch from the roundabout in Karon, you will also come into contact with numerous market stalls where all of the above items can be purchased. Along the beach road at Karon, you will find Karon Plaza, which is a large night market complex that closes for 2-3 months during the low season. Phuket Square in Phuket Town is also an area where vibrant night markets can be found. On the northern side of the island, the Cherng Talay market, nearby the police station, is a great night market to visit, although it’s only open on Saturday and Wednesday evenings. All the other night markets in Phuket pale into insignificance when compared to the weekend market on the outskirts of Phuket Town. The market is officially situated at Chao Fah Variety, opposite Wat Nakha temple. Saturday and Sunday late afternoon until late night, this iconic market sells everything one could possibly imagine for the cheapest prices of any market on the island. There is also a children’s play area equipped with a bouncy castle. The market is also home to numerous food stalls where one can sit and sample an authentic Thai snack. This market personifies hustle and bustle, which makes for an interesting experience. 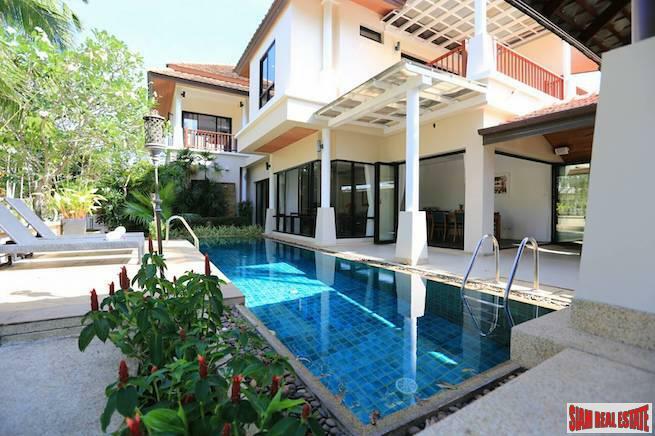 It is also quite surprising how many tourists miss out on this market because Phuket Town is set away from the major tourist destinations on the island. This world-class shopping centre is situated on the commercial park on Bypass Road that also boasts Big-C, Home Pro, Index Living Mall and Tesco Lotus. 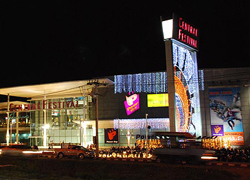 This expansive shopping centre is designed in a unique crescent shape, with a large food court, designer fashion outlets, sport shops, electrical stalls, a cinema and a multitude of restaurants. Brands such as Adidas, Lacoste, authentic Manchester United merchandise, Levi, Nautica, Warner Brothers and Puma all have shops within Central Festival. If you are looking to dine at the centre, you can choose from KFC, Oishi, Sizzler, Mister Donut, Au Bon Pain, Starbucks, Black Canyon Coffee and Swansens, which should be enough to fulfil your appetite. If not, you could try the large food court on the third floor that provides more than enough options to suit your taste. 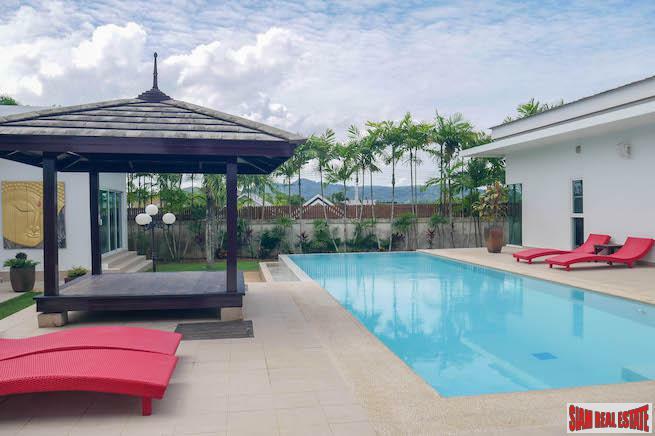 The newest edition to Phuket’s shopping options is the Home Pro Village near Chalong Circle on Chaofa Road. This excellent new shopping complex owns the Villa Market Supermarket, which is probably one of the best places in Phuket to find the high-quality imported foods that westerners sometimes crave. 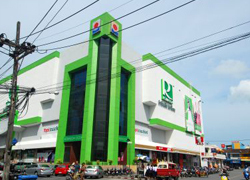 Within the complex, there is also KFC, Home Pro DIY, Sportsworld and numerous small outlets selling everything from fashion items to computers and electronics. This retail park is gaining a great reputation with local expatriates and is a must visit. For those that have lived on the island for a long time, they will tell you that Robinson’s Department Store in Phuket Town was the only option that westerners used to have. Times have changed, but Robinson’s reputation has remained intact. Most of the ground floor is dedicated to the supermarket area, for which westerners have been flocking to for numerous years. The rest of the building is devoted to providing a mixture of clothing, cosmetic and household items for cheap prices. 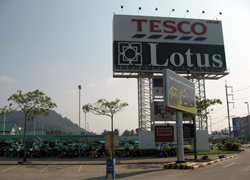 Situated on the same commercial park as Big-C and Central Festival on the Bypass Road near the outskirts of Phuket Town, Tesco Lotus does what all Tesco’s over the world are famous for, sell quality goods at affordable prices. If you are looking for a value for money grocery shopping expedition, Lotus should be at the top of your list. As well as providing the supermarket, this superstore is the place to purchase value electronics, household items, clothes and cosmetics. Within the complex, you can visit many fast-food chains such as Macdonald’s, Subway, KFC, Black Canyon Coffee or visit the food court on the second floor. 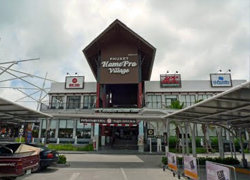 Homepro is a DIY superstore that is situated on the commercial park at Bypass Road on the outskirts of Phuket Town. 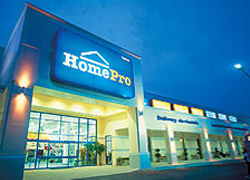 For home improvements, house constructions, renovation and maintenance, Homepro should be at the top of your list. The centralized location means that Homepro is easily accessed from all areas of the island.